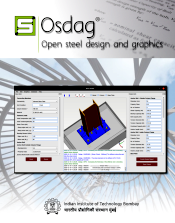 The primary objective of the Osdag project is to develop a free and open-source software for structural steel design (and detailing) as per the Indian Standard IS 800 : 2007. 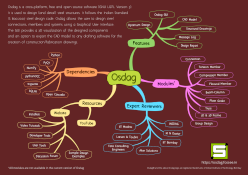 The emphasis of Osdag in its first phase will be on the design of connections, which is a part typically not paid adequate attention to in a commercially available structural steel design software. In future, Osdag modules will include multiple components for the design of tension members, compression members, flexural members, trusses and frames. It should be noted here that it is not the goal of this project to cover the entire gamut of provisions and specification of IS 800, but rather to help its users gaining confidence in using certain aspects of this design standard.